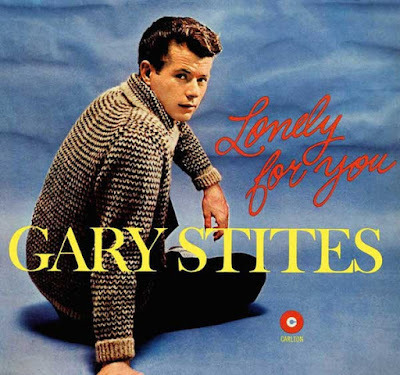 Gary Stites (born July 23, 1940) is an American pop singer who enjoyed brief success in the late 1950s. Gary was born on July 23, 1940 in Denver, Colorado. He attended Wheat Ridge High School and worked in his father’s Gulf service station. 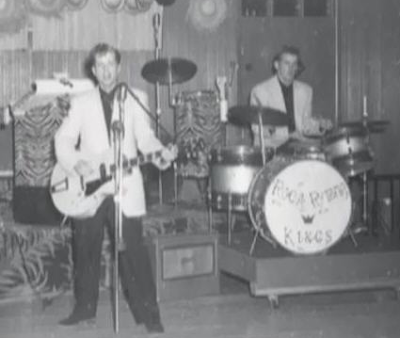 When he turned 15 his musical career started with the group “The Rocking Rhythm Kings” at the Grubstake Saloon in Denver. The only other local group were “Del Toro & The Rockers” Some of both band members decided to join together resulting in “Gary Stites & The Satellites”. The group were popular at the local teen dances, sock hops and beer joints. The local program director at KIMN radio was a friend of record label owner Joe Carlton in New York, and got Gary to sing “Lonely For You” to him over the phone. This resulted in a contract. 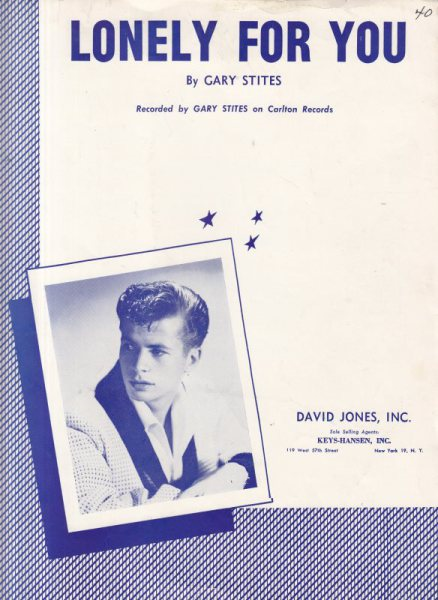 Gary recorded for Carlton Records, the same record company that fellow label mate Jack Scott recorded for. 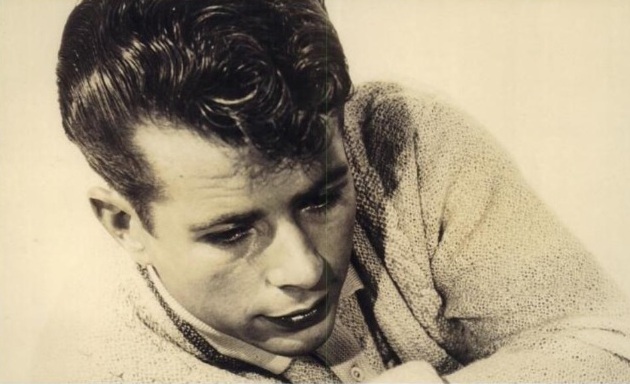 On April 13, 1959 he charted his biggest hit, “Lonely For You”. The record climbed the Hot 100 to #24 and had a 14 week stay on the pop chart. “Lonely For You” had an arrangement similar to Conway Twitty’s hit “It's Only Make Believe”. His follow-up single, "Starry Eyed", peaked at No. 77 later that same year. It would hit the No. 1 spot in the UK for Michael Holliday. 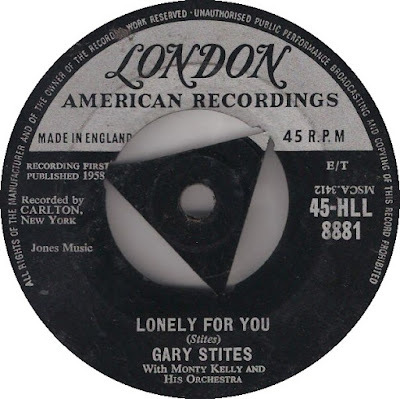 Stites released a full-length album “Lonely For You” issued in mono and stereo editions, on Carlton Records in 1960, but it was his only LP. In addition to the hit title track, the album contains his minor hits also the flip side of "Lonely for You" ("Shine That Ring") and a cover of Faye Adams' 1953 R&B chart-topper, "Shake a Hand." Stites proves himself adept at teen ballads ("Don't Wanna Say Goodbye"), rockers ("Chicken Shack"), and call-and-response party records ("Hey, Hey"). He is a competent singer with a voice vaguely similar to Johnny Tillotson. In the sixties, Stites started his own record label, Living Legend, where he produced obscure groups like the Birdwatchers, the Gents Five and Tommy Strand and the Upper Hand, all without success. He dropped out of the music business in the seventies and switched to work in horse racing. Stites wasn’t heard from again until 1998 when his cassette "The Old Racetracker” was recorded under the singular name Cloud, saluting his first love – horse racing. 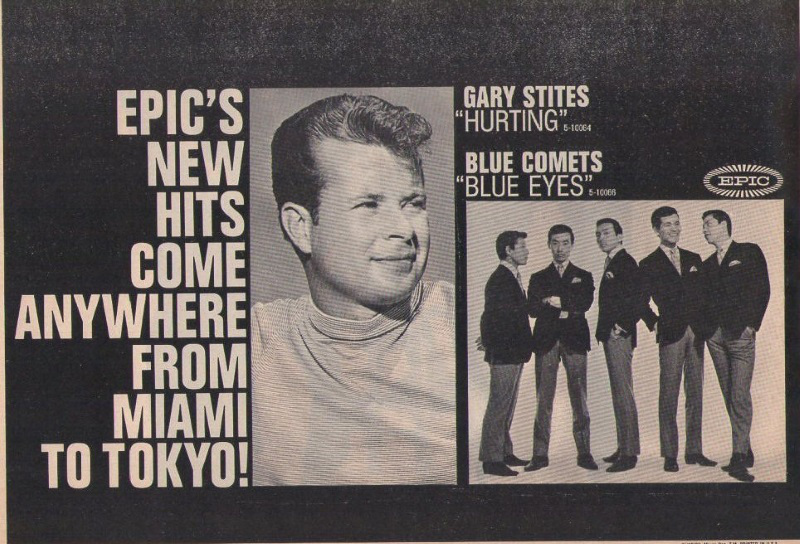 Collectors with a fondness for the early-'60s "teen sound" will appreciate Stites' well-executed recordings and formulaic songs, but it would be a stretch to argue that he created anything out of the ordinary. 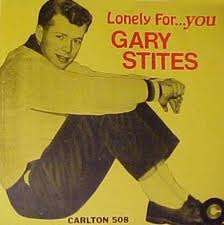 The Carlton tapes have been lost, so any reissues of Stites' material will be mastered from vinyl. Buyers beware of a poor-quality "gray market" bootlrg CD, also titled Lonely for You, that contains 30 scratchy disc dubs containing more or less his complete recorded output. 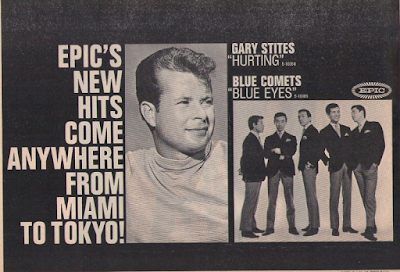 Here’s a rare film clip of Gary Stites singing Starry Eyed from 1959. A big thank you to Ludovico @ Entre Musica blog for original link.